No, China hasn’t succeeded in “buying” allies — but that’s not what Beijing is trying to do. A commentary by Vasily Kashin, published by Russian news agency Sputnik on March 1, straightforwardly wrote that China has overestimated the effect of its “economic diplomacy,” and has underestimated the influence of factors like politics, ideology, and military relations. Kashin argues that China has upheld a rather naive belief that as long as it increases trade and investment, it will eventually catch up with the United States in terms of global influence. Kashin further points that these policy mistakes from China have made it possible for the United States to strengthen its traditional alliance relations in the region – and that China cannot win the game without starting to build its own alliance system. Kashin is not the first commentator to make the argument that China is trying – and failing – to “buy” influence. But this line of thinking includes several assumptions that are misleading, or at least out of context. Left unchecked, that may eventually lead to a misperception of China’s overall rise in contemporary world politics. First of all, in a broad context, all politics is economics, as many war histories have already shown. Compared to the long history of U.S. economic diplomacy, China’s polices may have their limits in a world system that is still dominated by the United States, but they definitely serve the very core interest of a rising China: to develop peacefully. 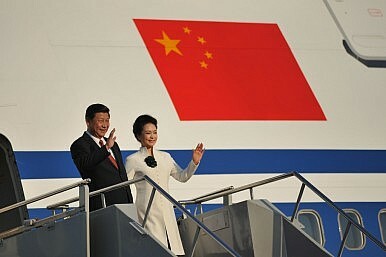 However, the difference between China’s international behaviors, whether political or economic, and those of former rising great powers — including the incumbent United States — is that in the past decades China has very much focused on common development rather than obsessively seeking to form classical alliances or rely on a balance of power. This has been a rising China’s grand strategy for decades and it will not be easily altered in the future. When China speaks of “non-alignment” and “non-interference,” this is not mere rhetoric. It is exactly how China has been rising and will probably continue to rise, even in this constantly changing world. By aligning with other powers and starting to build another alliance system, China would simply be repeating the moves of great powers in the past. By interfering in the internal affairs of other states, China would put itself in danger of being genuinely regarded as a threat. By avoiding both these paths, however, China’s overall rise will be different. Interpreting China’s economic policies through the lens of other great powers’ ambitions – and judging its success on that criteria – misses the point. As China rises, it may be unavoidable that there are worries, concerns, and even criticisms over its economic diplomacy. But that does not change the fact that China does not intend to repeat the history of previous rising and falling powers. What Protests in Algeria and Sudan Mean for ChinaChina’s Rise in the Middle East: Beyond EconomicsWhy China Could Support Regime Change in VenezuelaChina in the Middle East: Past, Present, and FutureIs China Increasing Its Military Presence in Syria?